Hose pipe ban in the North West from 5th August. Most of the rest of the country are stating no problems. Heigh ho, here we go - and my three water butts are pretty much empty. Hoping for some rain to top them up! Great isn't it. We have all the reservoirs and natural water resources up here, lower population density and urban sprawl than the South East, yet we have the restrictions. Perhaps if they didn't waste 22% through leaks we wouldn't have a ban. Fill them up with mains water, I always used to. They have given a future date which never makes sense to me. Wales doesn't have a ban, and I thought our water comes from Wales ? They were concentrating on the Cumbrian reservoir tonight on the news I saw. I bet all the fires in the last few weeks have take masses of water. The Welsh reservoirs and the ones that supply our water are separate authorities. Much of our water comes from the River Dee extraction points whose flow is controlled by the reservoirs to an extent. 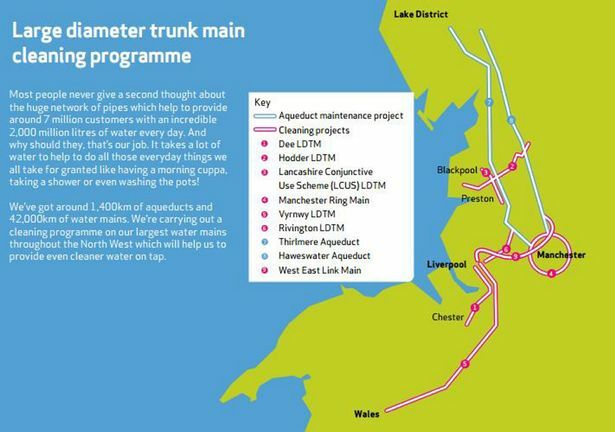 Much of the Northwest (United Utilities) is now networked so a shortage in one area is a shortage in all. United u is massive £ money making monopoly . Its sad cause we have downpours constantly all year yet when theyre not making enough shareholder profits in july aug so the clamps come on. They lose millions of gallons a year but whine when its hot. We get the usual , we need profits for " re investment" waffle like the trains. Is the ceo on mega money & its foreign owned as per uks MO ?? So if you used a hosepipe to water the garden, its a thousand pound fine, who do they call the water police? give me a break, your not allowed to smoke in works vehicles, but people do!, or use a moblie for that matter, but they do! not suppose to park less than ten metres from a road junction, people do! drop litter etc etc who is going to police it," hello 999" "Yes, how can we help!" " i've just witnessed someone using a hosepipe!" United Utilities are ahead of their leak improvement targets set by the Government. Another issue is that I'm not aware of any large UK reservoir currently having any attempts at reducing evaporation losses, this is particularly a problem for large area, low depth reservoirs. There is some confusion as to whether during a ban you are allowed to use a hosepipe on allotments, one place says you can't on allotments, another says you can on food crops (which also includes food crops in domestic gardens). I believe blue badge holders are exempt from the hosepipe ban. Roger Philips said so on Radio Merseyside today so it must be true. Last edited by goodoldphil; 23rd Jul 2018 5:13pm. can i use the 60cm length of hose from my garden tap to fill watering cans or do i have to remove it and fill direct from tap.... . Did hear elderly may be able to still use hose if watering cans too heavy to carry..
United Utilities hosepipe ban for 5th August has now been called off. Think those with a disability could carry on with the hosepipe.